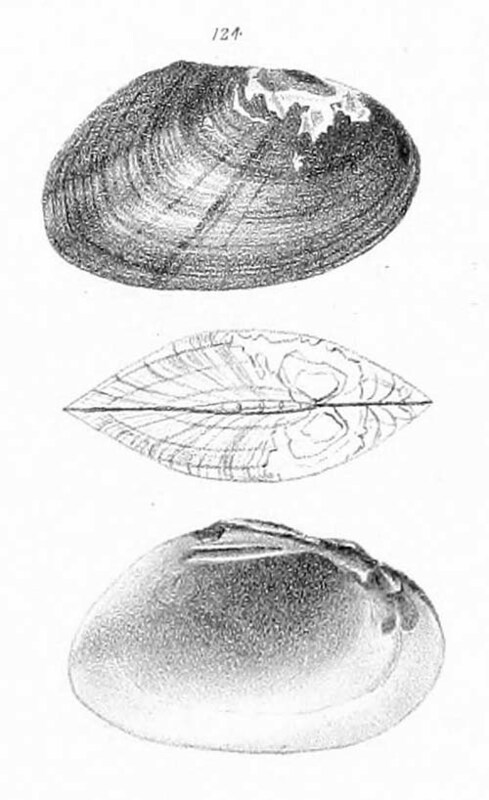 Conrad, 1834, New Fresh-Water Shells: 28, pl. 3, fig. 7. Lea, 1857, Proc. Acad. Nat. Sci. 9: 32. Lea, 1859, Jour. Acad. Nat. Sci. 4 [O. 7]: 201, pl. 23, fig. 84. 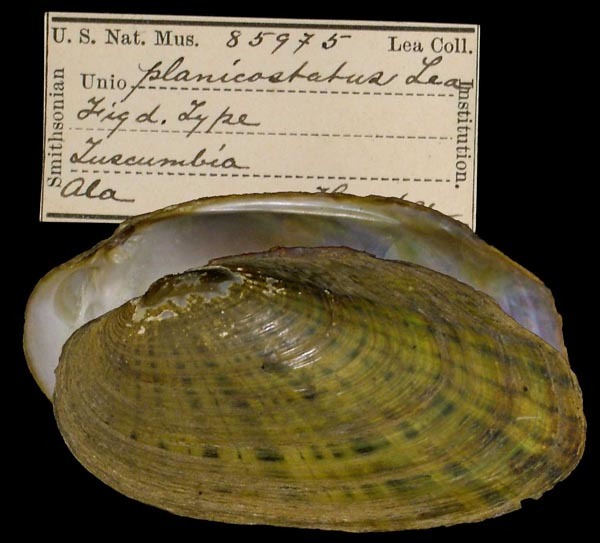 Type(s): HOLOTYPE USNM_85156, Othcalooga Cr., Ga.
Lea, 1860, Proc. Acad. Nat. Sci. 12: 92. Lea, 1860, Jour. Acad. Nat. Sci. 4 [O. 8]: 340 , pl. 55, fig. 165. 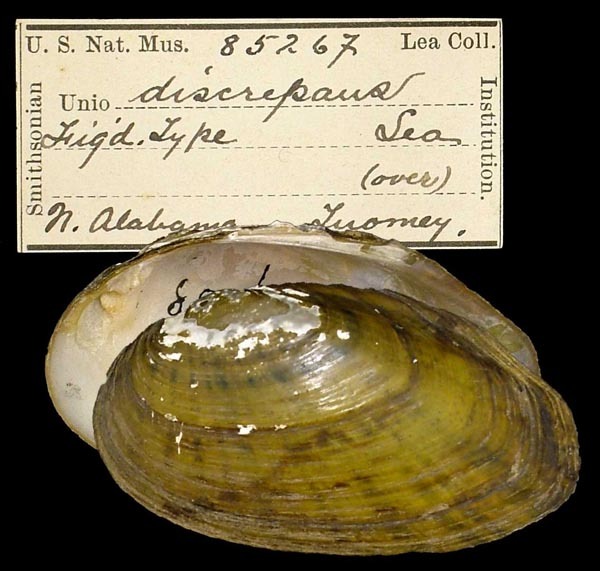 Type(s): HOLOTYPE USNM_85267, N Alabama. Lea, 1860, Proc. Acad. Nat. Sci. 12: 307. Lea, 1862, Jour. Acad. Nat. Sci. 5 [O. 8]: 81 , pl. 10, fig. 229. 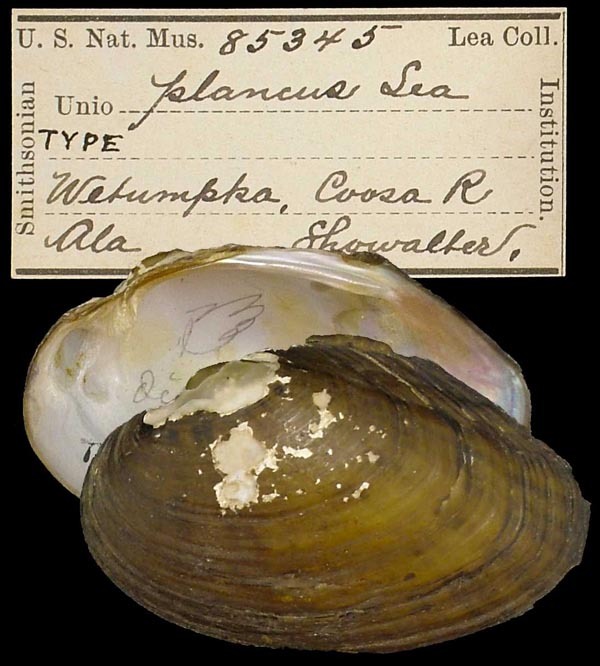 Type(s): HOLOTYPE USNM_85345, Coosa R., Wetumpka, Ala.
Lea, 1860, Jour. Acad. Nat. Sci. 4 [O. 8]: 354, pl. 59, fig. 179. 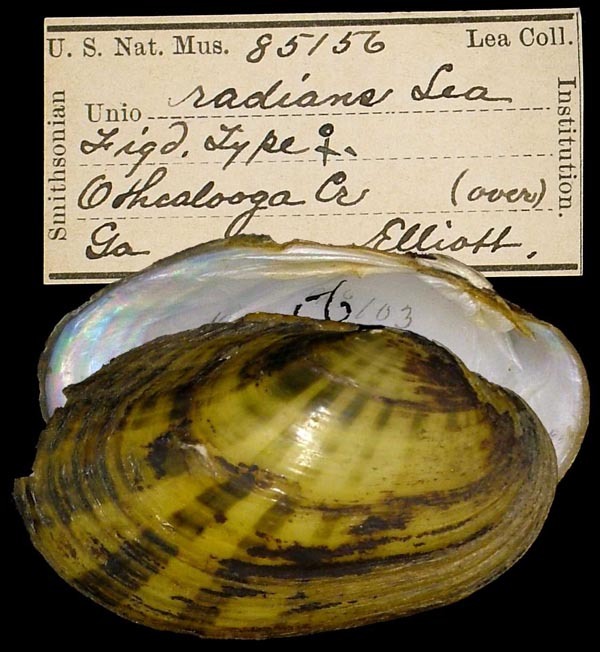 Type(s): HOLOTYPE USNM_85975, Tuscumbia, Ala.
Lea, 1868, Jour. Acad. Nat. Sci. 6 [O. 12]: 311 , pl. 49, fig. 124. 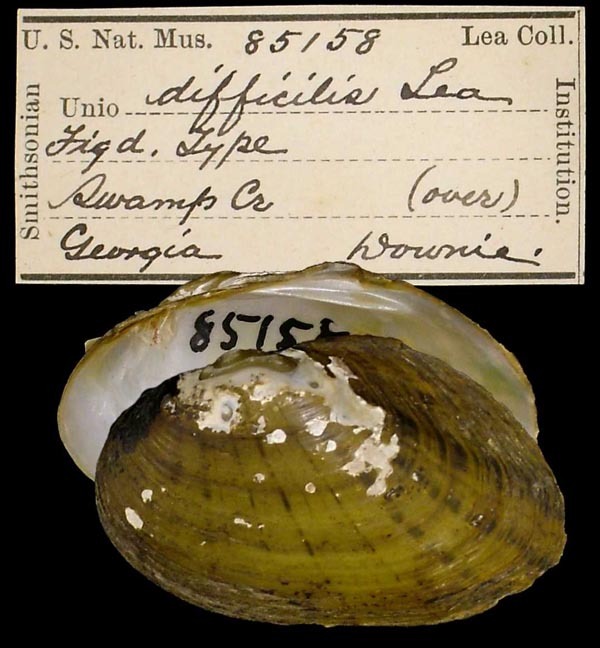 Type(s): HOLOTYPE USNM_85158, Swamp Cr., Georgia.